Trane U.S. of Tyler, Texas, is recalling about 17,700 furnaces. 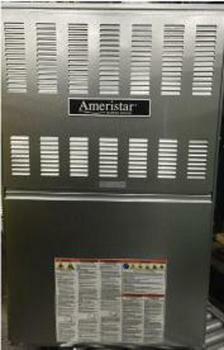 This recall involves Trane, American Standard, Ameristar brand or unbranded furnaces. The recalled furnaces include serial numbers beginning with 16304 through 16324. The model and serial numbers are printed on a white label on the left or right-hand side of the unit. The furnaces, manufactured in the U.S., were sold at Trane, American Standard and Ameristar independent dealers nationwide from July 2016, through August 2016, for between $400 and $4,000. Consumers may contact Trane at 800-945-5884 from 8 a.m. to 5 p.m. (CT) Monday through Friday, or online at www.trane.com/residential, www.americanstandardair.com or www.ameristarac.com and click on “Safety Recall” at the bottom of the page for more information.